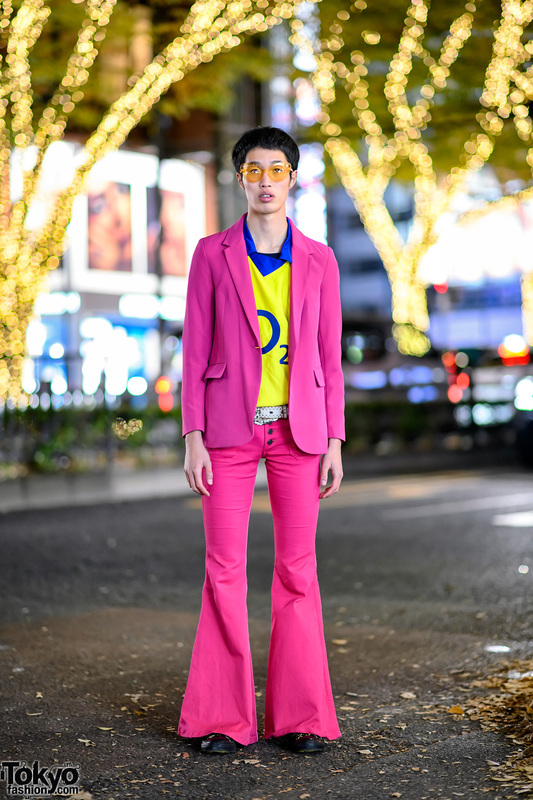 Harajuku guy in colorful retro street style with a pink suit, flare pants, yellow tinted glasses, and Batman logo print sneakers. 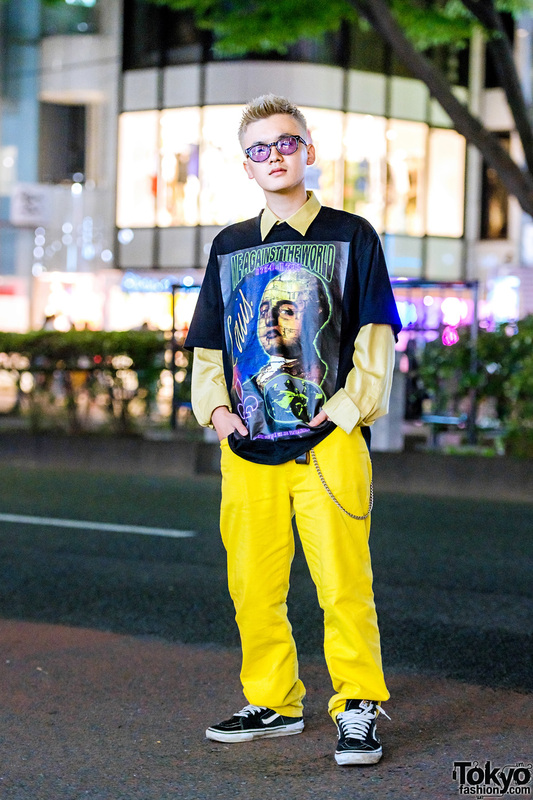 Harajuku trio sporting colorful hair and ensembles with shirts, plaid pants, track pants, wide leg pants, double strap slides, waist bags and lace-up shoes. 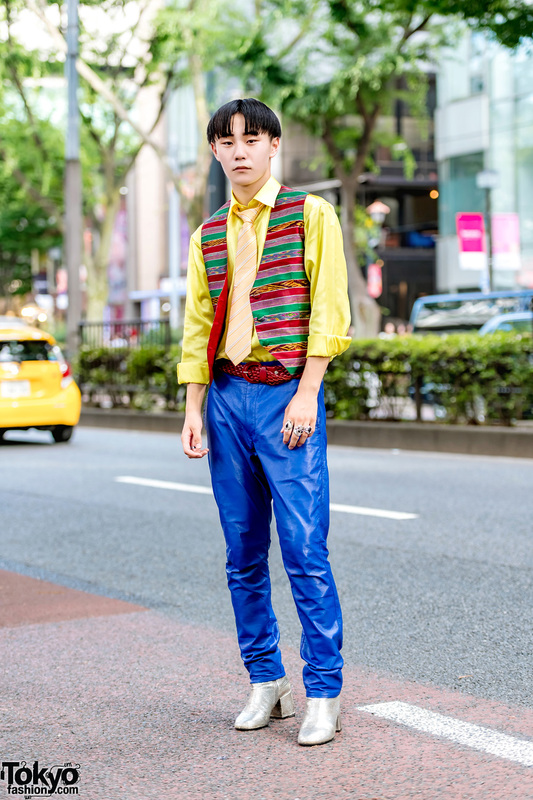 Harajuku guy sporting a colorful street style while out and about on the street. Japanese teenagers wearing casual streetwear in Harajuku. Harajuku teens wearing t-shirts, platform shoes, waist bag, sunglasses, and grommet belts. 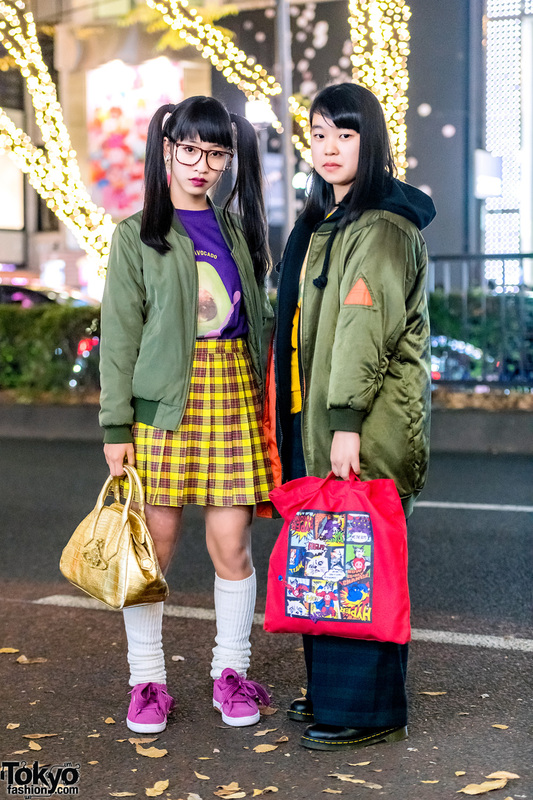 Harajuku girls dressed in satin bomber jackets, plaid skirt & plaid pants, t-shirts and bags.